Looking for a breath of fresh air? 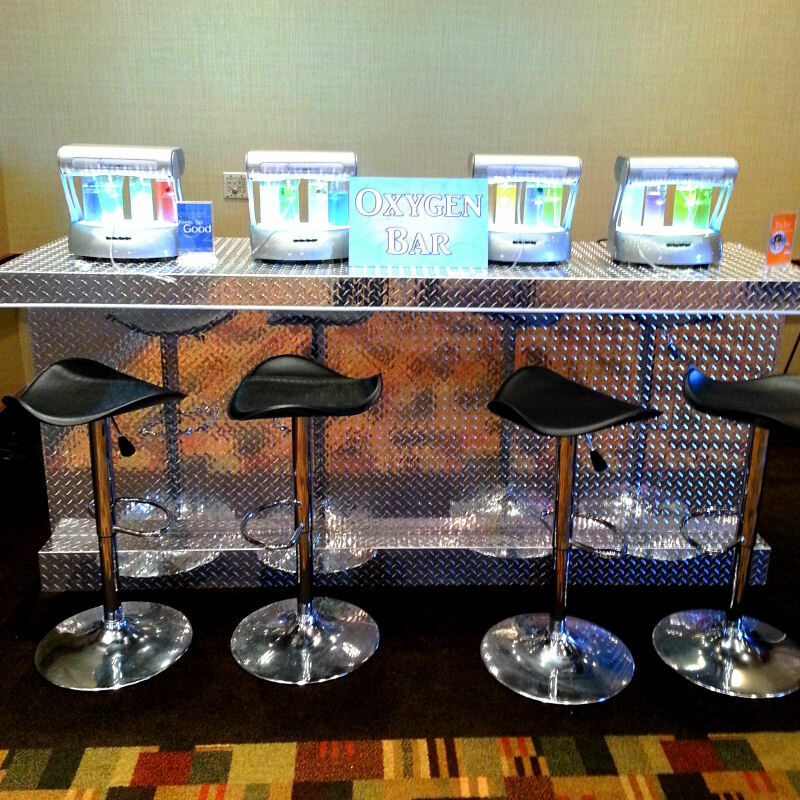 The oxygen bar offers non-medical oxygen mixed with various scents including aromatherapy. The air we normally breathe contains about 21% oxygen the rest is Nitrogen, Argon and other trace gasses. The oxygen in oxygen bars is between 90% and 92% oxygen allowing the customer to breathe 4 to 5 times the normal amount of oxygen!! 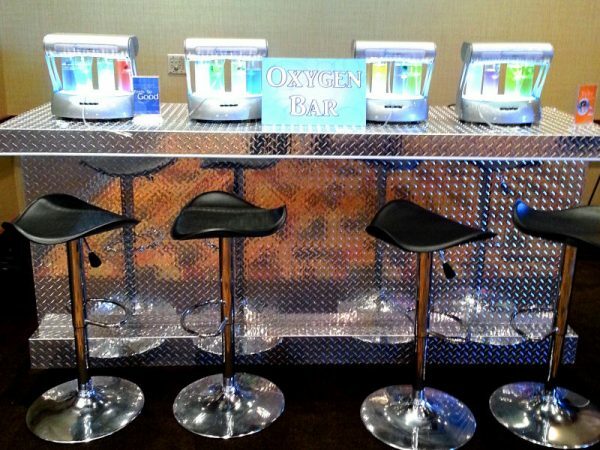 Oxygen bars give participants an uplifted refreshed feeling as well as increased energy, detoxification and a general overall good feeling. Scents are water-based, oxygen safe aromas. We bring along a 16 scent bar for guests to six down relax and enjoy!